The Brooklyn-via-Pittsburgh indie art-rock quintet Ball of Flame Shoot Fire made some of the best, most unclassifiable, and quirkiest art-pop on their experimental 2011 sophomore album, Pots And Knives, which also made Atlas and the Anchor's Top 10 Albums list that year. And now they are set to self- release their new album, Zileur (Mi-Mi-Mo-Mo) tomorrow and we are thrilled to premiere their new single, "Buddy". The excellent new album replaces the experimental electronics of the last album for a warmer vibe that better captures their live sound. They have also switched out some of the funk-laced Talking Heads-like grooves for a more organic Lindsay Buckingham-like singer-songwriter sound, all while still retaining their weird yet rewarding arrangements and melodies. The skroky saxophones and trumpets and infectiously catchy and soulful chorus of the standout first single, "Bad Thing" opens the album with a sly come-on. "Buddy" follows with weird washes of ambient sounds and a loose, tumbling drumbeat along with some of vocalist Jess Tambellini’s most wobbly vocals before the horns turn up to end the song triumphantly. The aptly-titled "Crunch Beans = Good Steppin'" features slide guitar and lets the organ and horns drive the bouncing rhythm. Another standout, "Trish" sounds like the deconstruction of Randy Newman if he were a lounge singer with a chip on his shoulder. The loping "Ed" is country & western as can only be imagined by BOFSF. "The Curse" stands out as well with chugging accordion and the most straight-forward homespun vocal performance on the album, complete with doo-wop background vocals. The eleven-track album closes out with the aching horns of the slow waltzing "The Old Ballad Singers" and the off-key howling vocals and humorous lyrics of "Gregorio" that just beg for you to sing along. 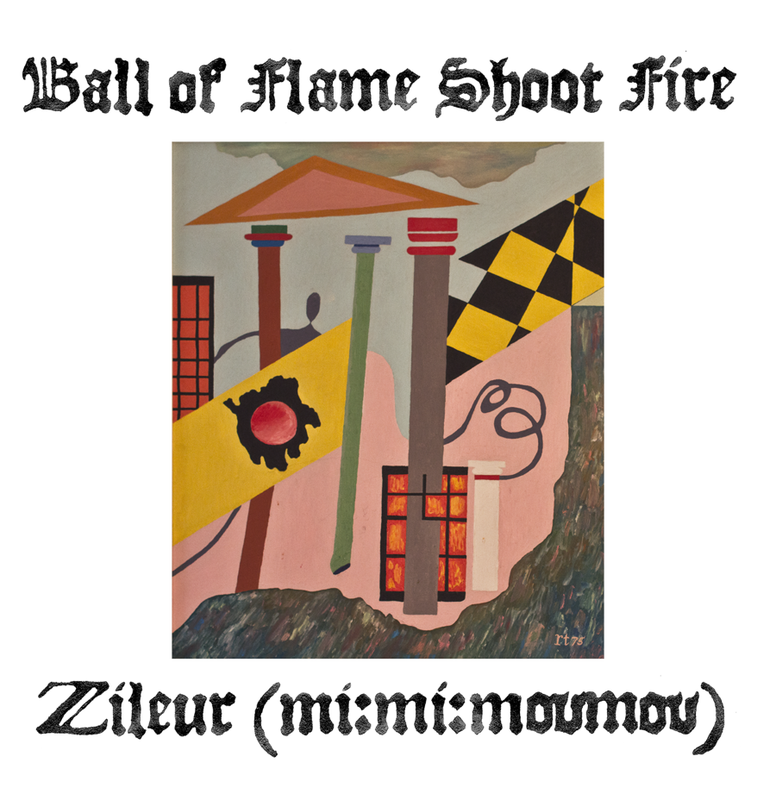 Ball Of Flame Shoots Fire's unique brand of off-kilter art-pop and Tambellini's distinct voice may not be for everyone and that is just fine. But given a chance, the intriguing and eclectic set of songs on Zileur (Mi-Mi-Mo-Mo), will be your new favorite too. Off kilter art pop and a distinct voice – what could possibly be better!